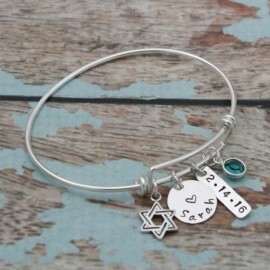 Perfect for any Bat Mitzvah! 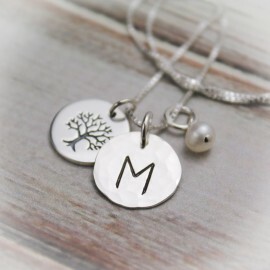 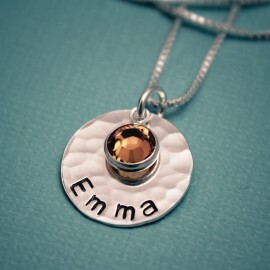 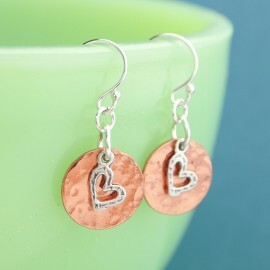 A lovely 5/8" hammered sterling silver disc is hand stamped with your name of choice. 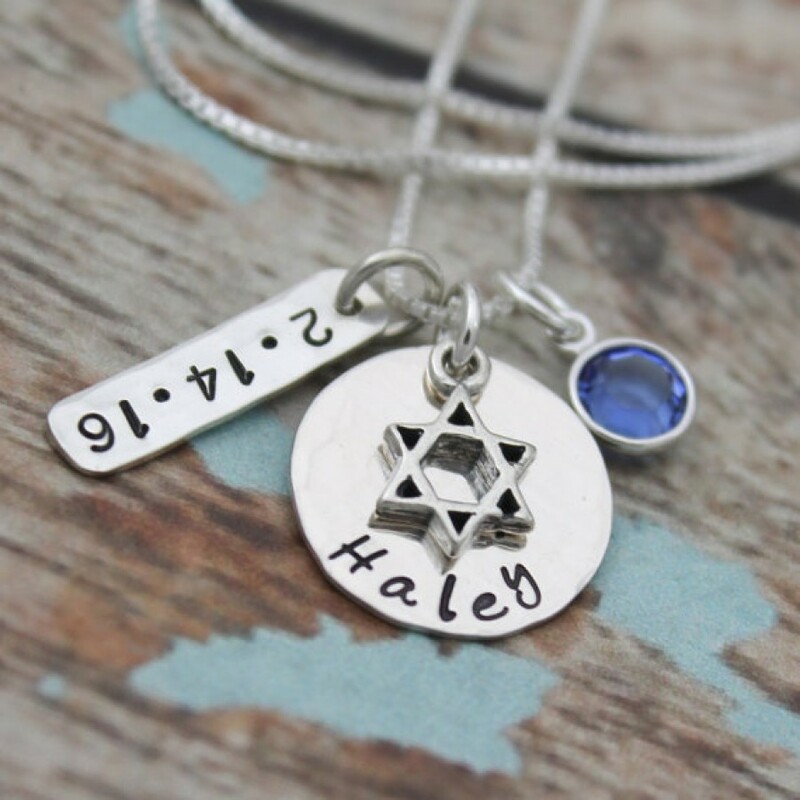 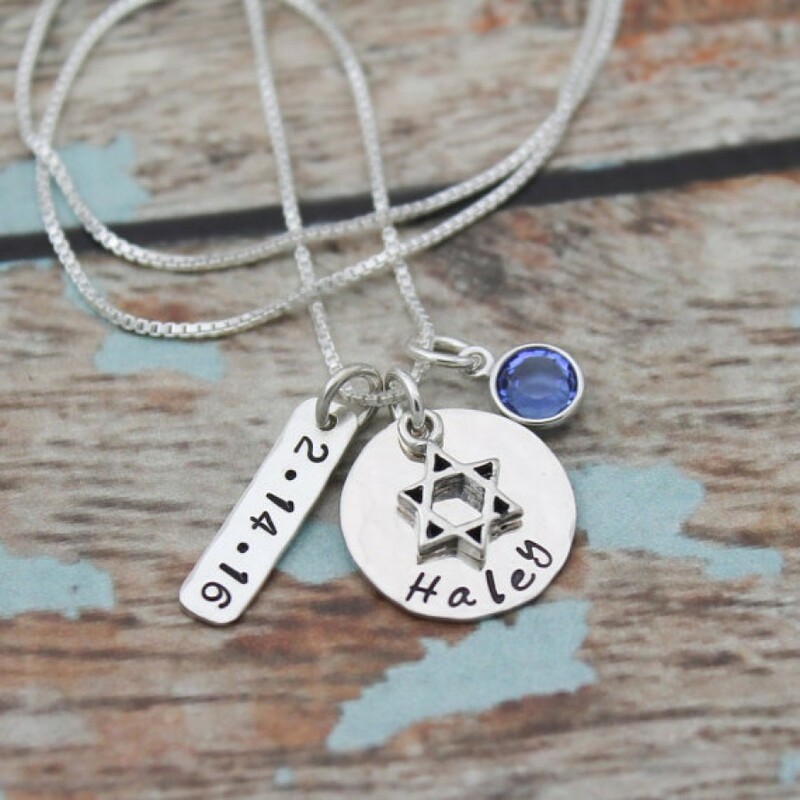 A sterling silver tag is stamped with the date the recipient becomes a Bat Mitzvah. 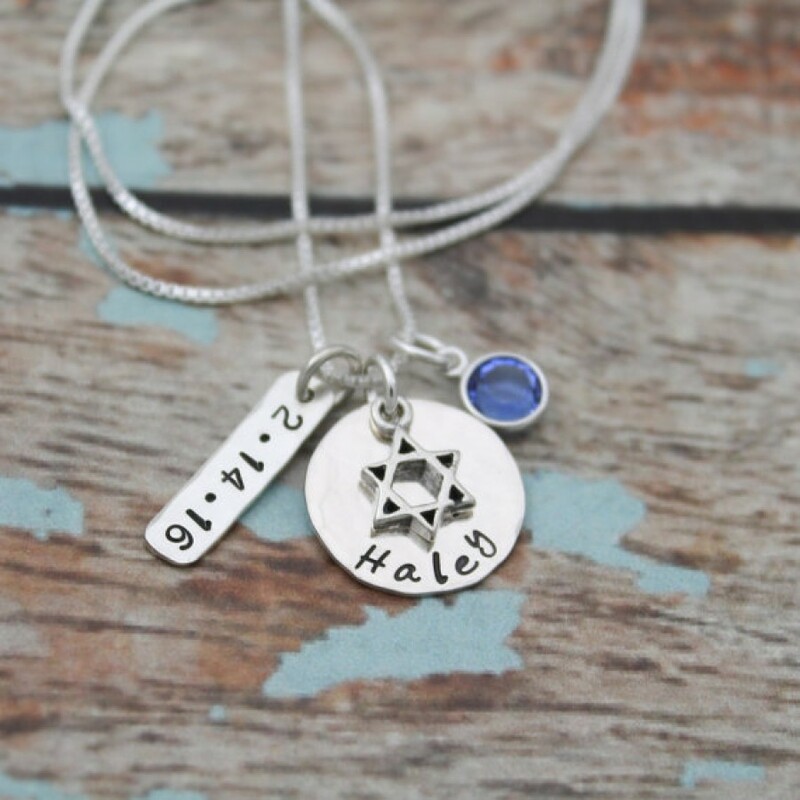 A Star of David sterling silver charm lays on top of disc. 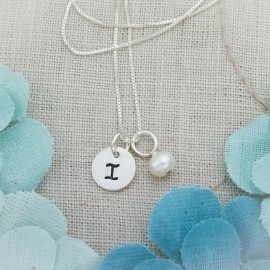 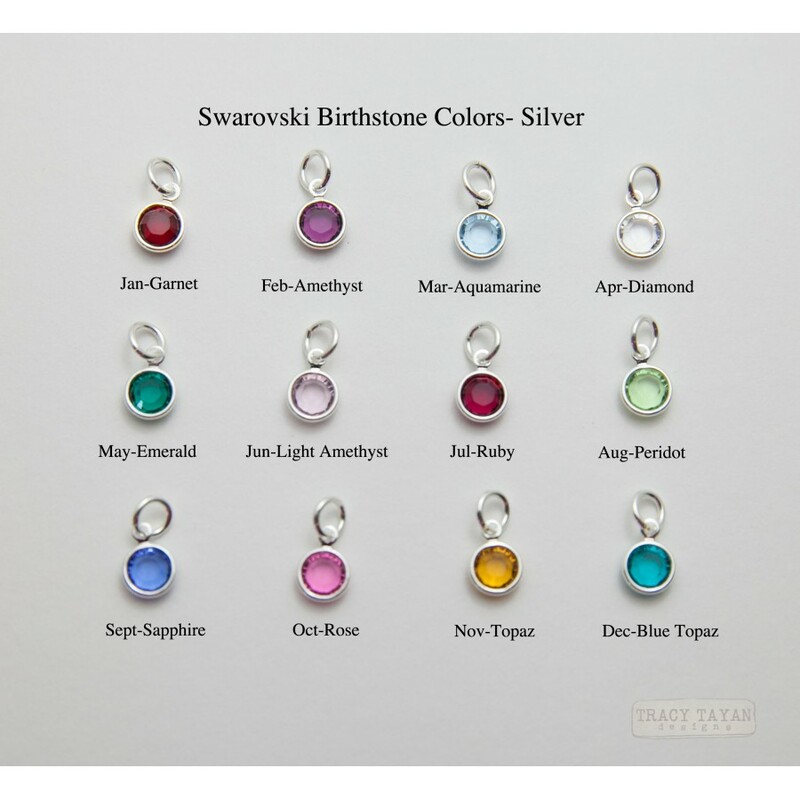 Swarovski charm or white pearl adds the finishing touch.